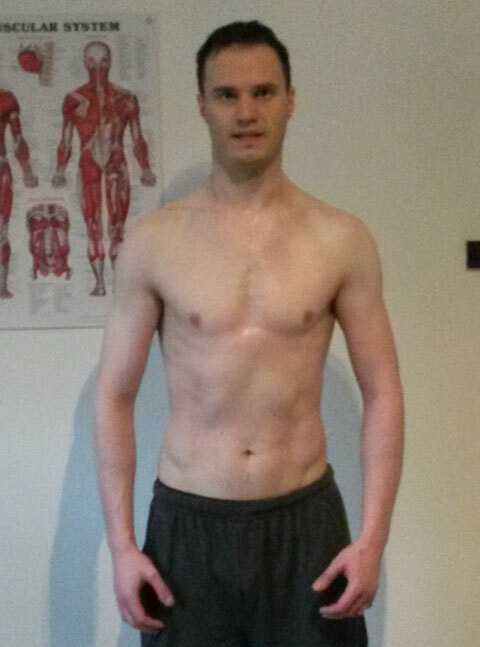 Ric started training with Rolandas’PT4U at 78 kg (171.6 lbs; 11.8 stones), 86.5 cm (34 inches) waist and 22% body fat. Also the spine was effected by scoliosis (curved spine). 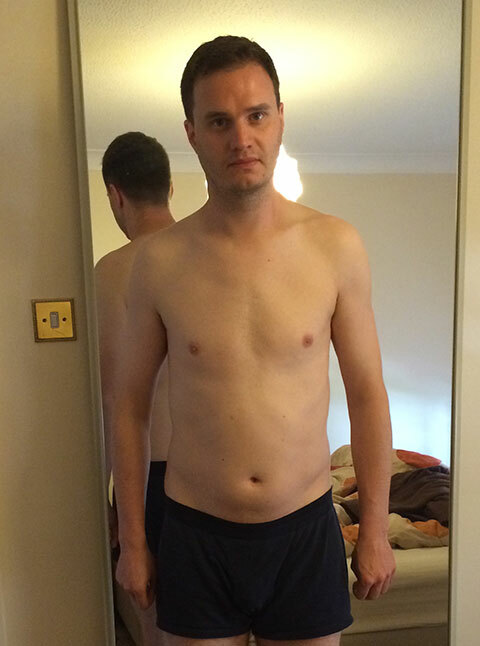 Ric has lost total body weight to 76 kg (167.2 lbs; 11.5 stones) while cutting waist size to 75.5 cm (29.7 inches) and body fat to 12%. 10% of body fat dropped translates into 8 kg of fat lost. The gross body weight is decreased by 2 kg due to 8 kg of fat replaced with 6 kg of muscle.